I was inspired to do this post after watching Samantha Maria’s video on her most worn fashion items and accessories. I found it interesting so wanted to share my own, as nothing shows that you love a garment more than wearing it over and over. 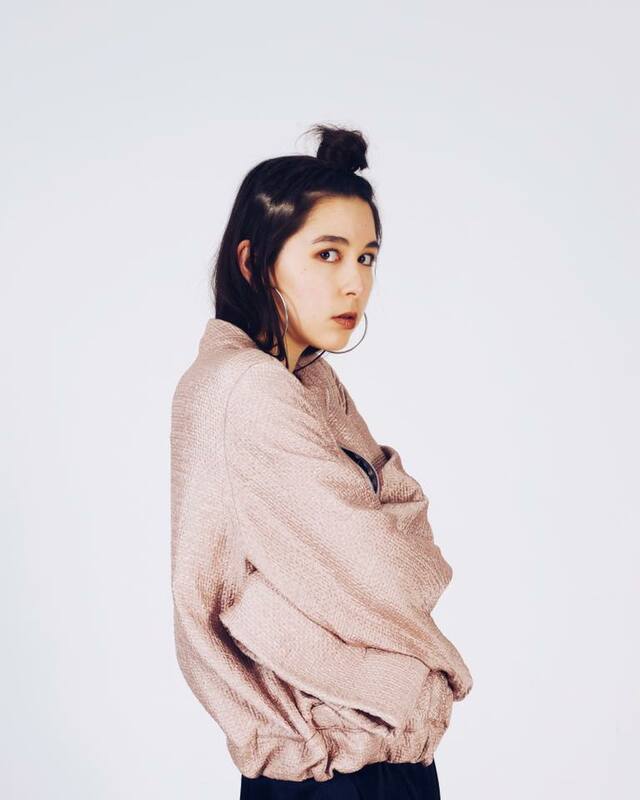 So I’ve selected 10 key pieces from my wardrobe that are absolute staples, that I’ve styled in as many ways possible, and whose cost per wear is in the £0.0001 zone. There is a LOT of black featured, but these are staple pieces that will go with other items in my wardrobe (that’s my current excuse anyway). 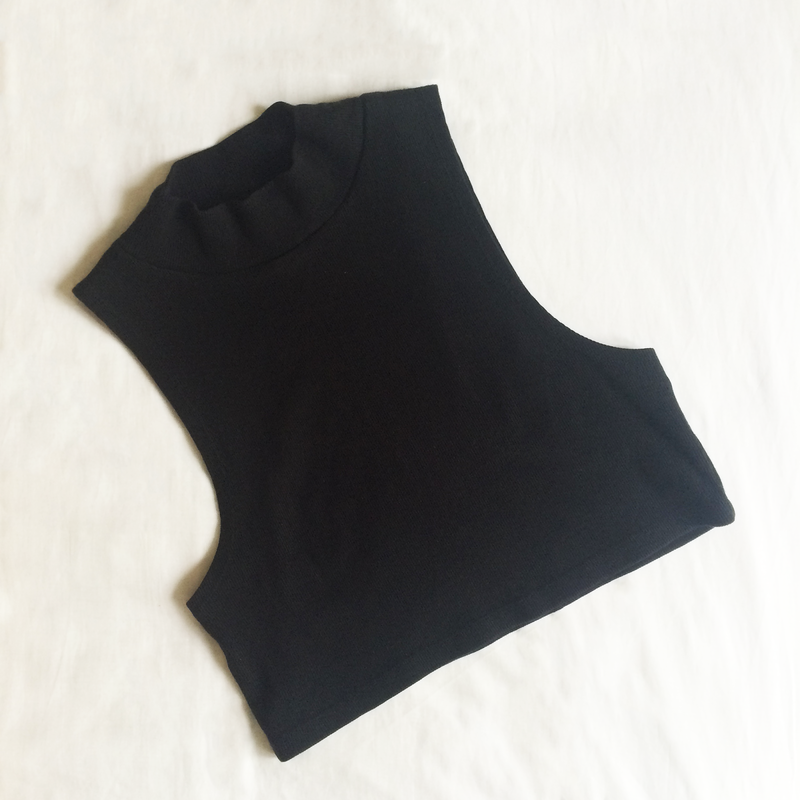 I am a big fan of crop tops, as I wear a lot of high waisted pieces and I love the silhouette that the combination creates. This particular one is black and sleeveless, which means it can be easily styled with the rest of my wardrobe. 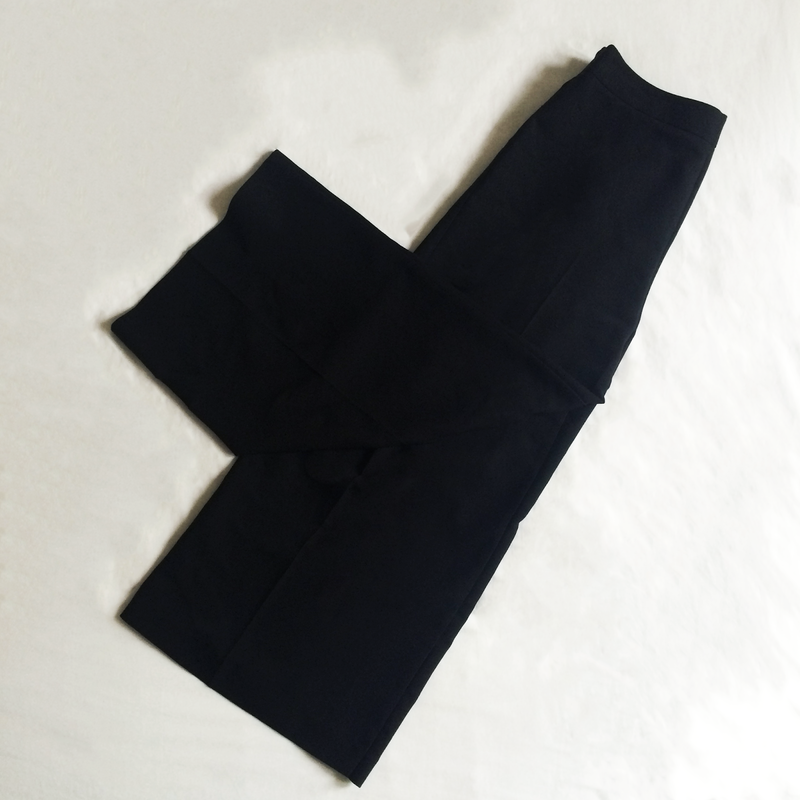 It's made of a ribbed material which adds a little interest, and has a high neck, which means I can pair it with a mini skirt and not show too much skin. This black shirt dress has become such a staple in my wardrobe. If I don't know what to wear, I just chuck it on and I'm good to go! It goes well with both bare legs and tights, and it looks really cute with thigh high boots. I can easily transition it from day (white trainers) to night (heeled boots and lipstick) as well. 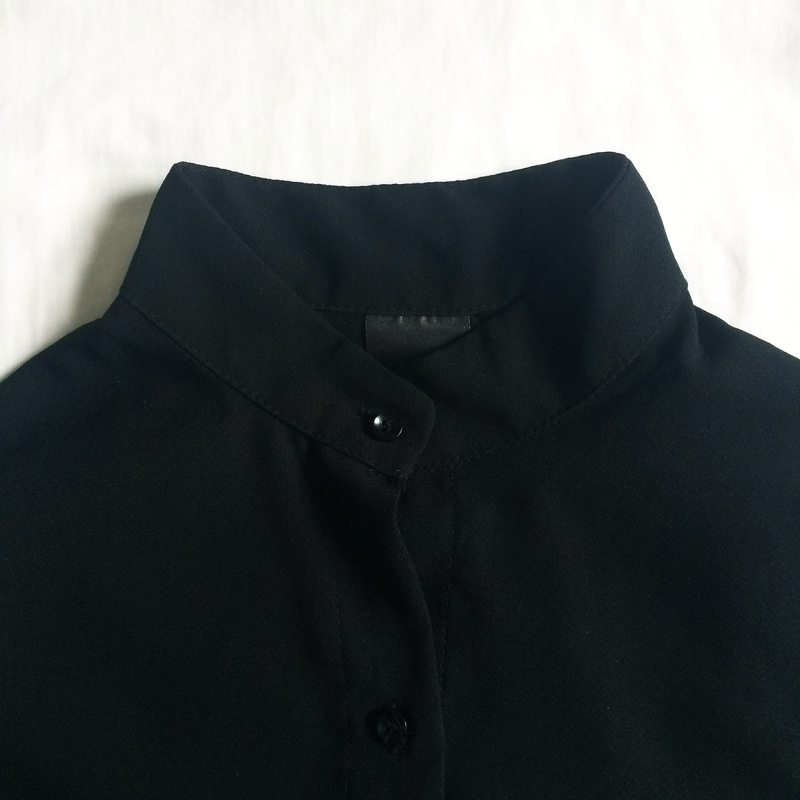 I also have the option to wear it buttoned up to the top, or open to show a little skin. 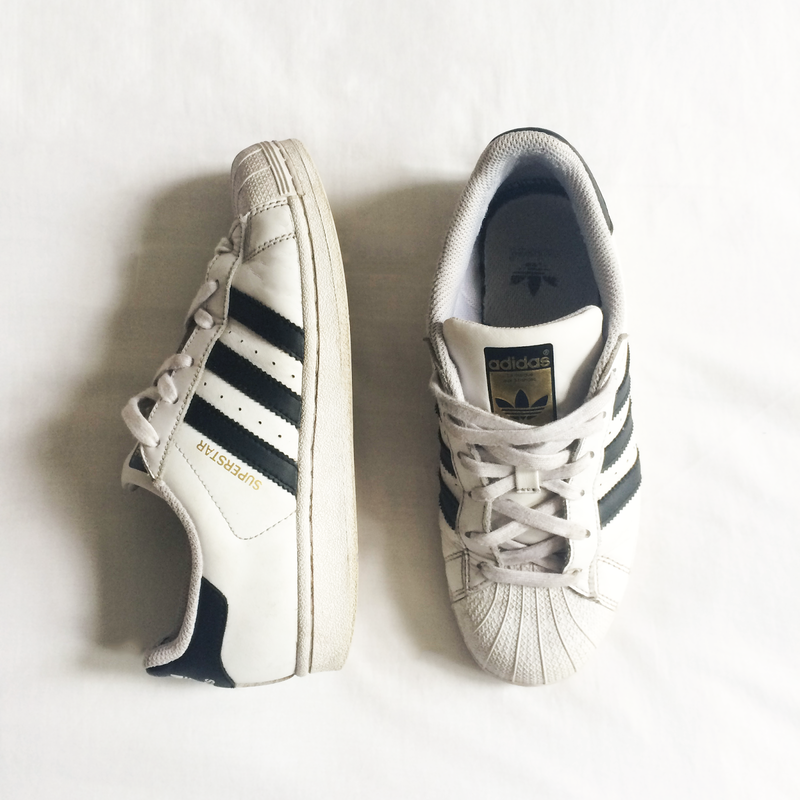 I bought my Superstars last summer and have worn them to death ever since (you can probably tell). I've never been a trainers girl but these are slimmer and smarter than some, and they go with everything (see the many OOTDs below for proof). They are also so comfy! I'm used to pointy shoes and hard soles so these feel like walking on clouds - major plus. 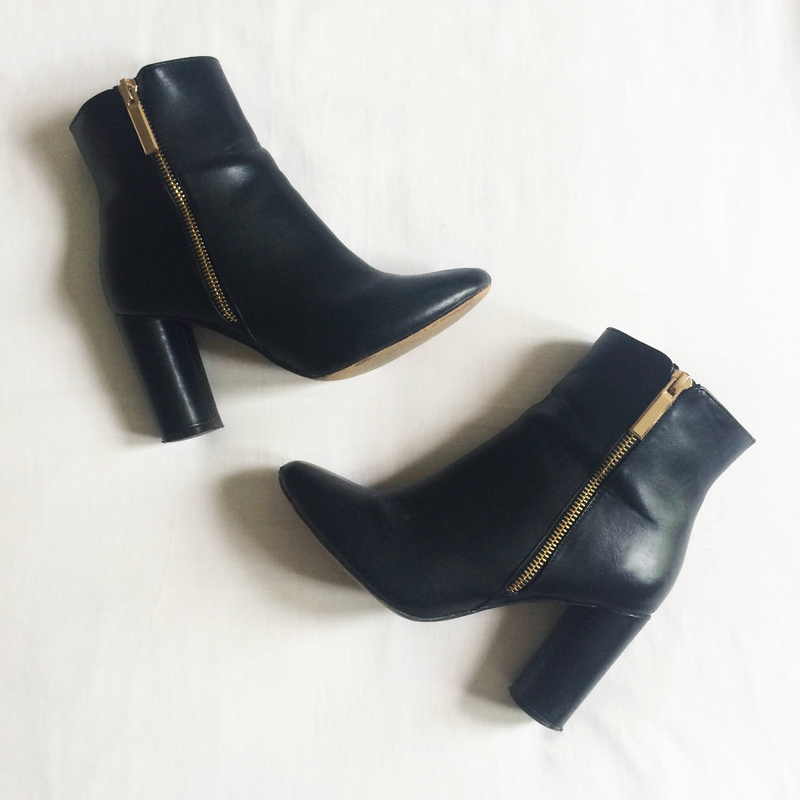 I love heeled boots. If I could only have one pair of shoes (god forbid!) I'd choose a pair of black leather heeled boots. They go with everything - jeans, trousers, dress, skirt - and you could get away with them for any occasion. This particular pair have a beautiful almond toe, the perfect heel (height with comfort) and are embellished with a gold zip. And they have seen me through many an occasion - I adore them! I've had this jacket the longest out of all of these pieces, and it still looks as good as the day I bought it. I love the sturdiness of the denim and how it keeps me insulated from the wind, but doesn't get too hot. The pockets are super handy - the perfect size for a phone or Oyster card, and I've been known to carry several lipsticks around in it. I bought it in a large as I wanted it to be oversized, and I love how easy it is to throw on and cooly dress down an outfit. I've had this bag for a long time now, and it has served me well over the years. The sturdy leather keeps the box shape intact, and I love the studded effect. It can be worn over the shoulder or cross-body or I remove the strap and carry it by the handle. It's also surprisingly spacious for a mini bag - I can carry my umbrella, purse, keys, lipstick and Oyster in it all at once! 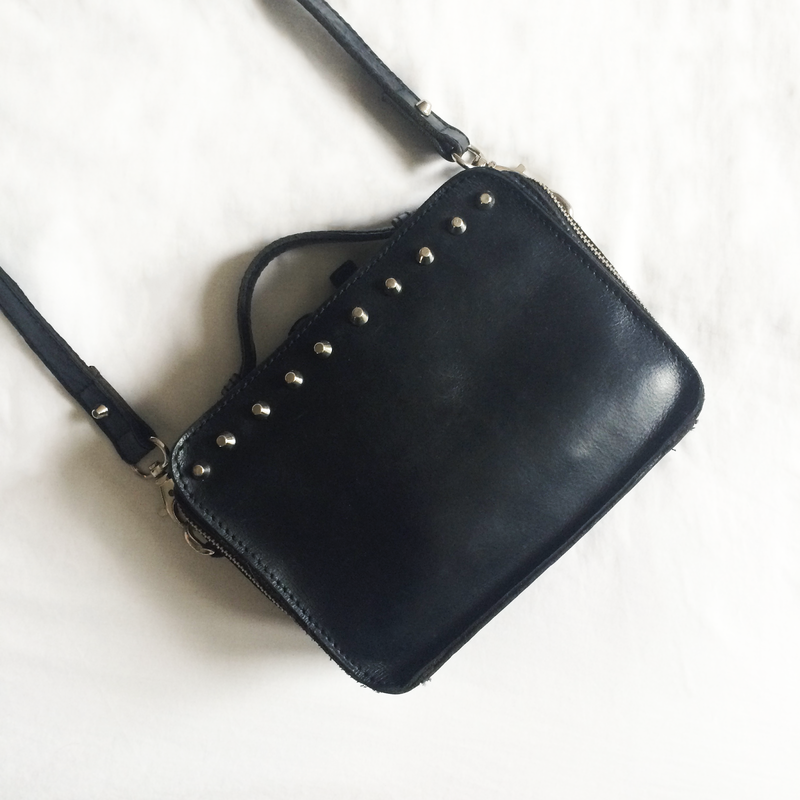 This means I can wear it during the day or on a night out (when cross-body is a must). The "leather" skirt is a more recent staple of mine, but it wholly deserves a mention as I wear both of my skirts a lot. They can seem a bit daunting at first, but once I started styling them I realised that they go well with everything. They look cute paired with a crop top, or with a shirt tucked in. 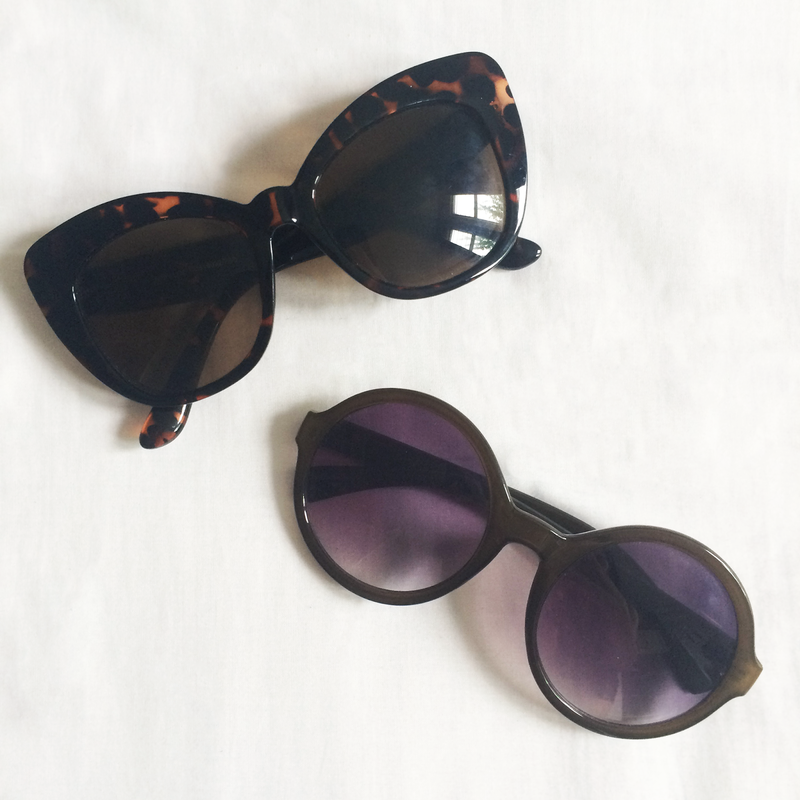 Pair them with bare legs or 40 deniers or they look fabulous with a pair of fishnets. The only thing I wouldn't style the skirt with is a leather jacket, which bears the risk of looking a bit OTT. 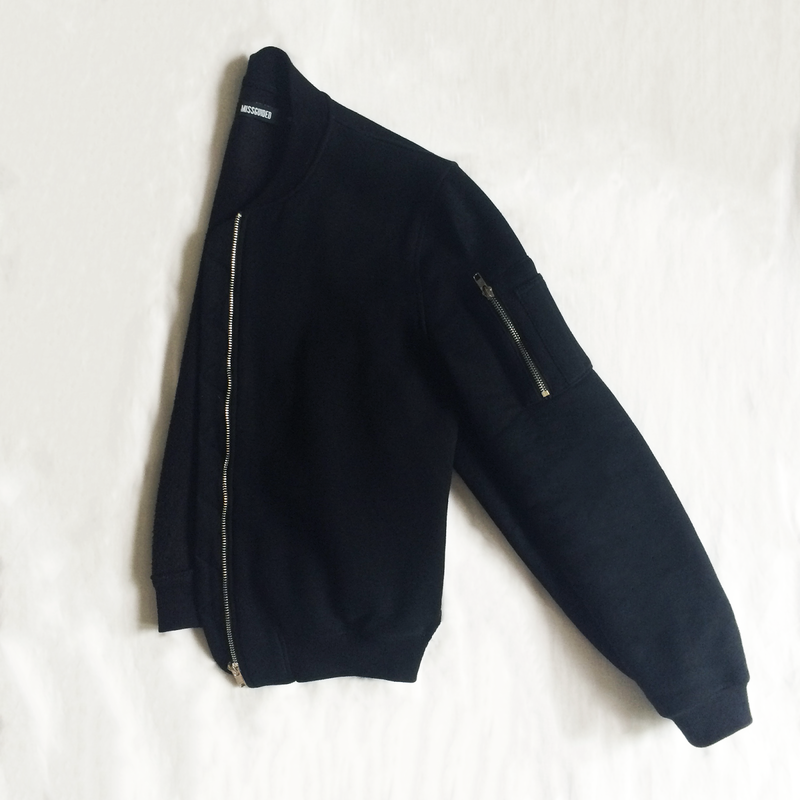 Bombers are definitely a trend that everyone is jumping on at the moment, and I confess I'm a follower too. I haven't seen many like my cropped number from Missguided though, so hopefully I don't look like everyone else. 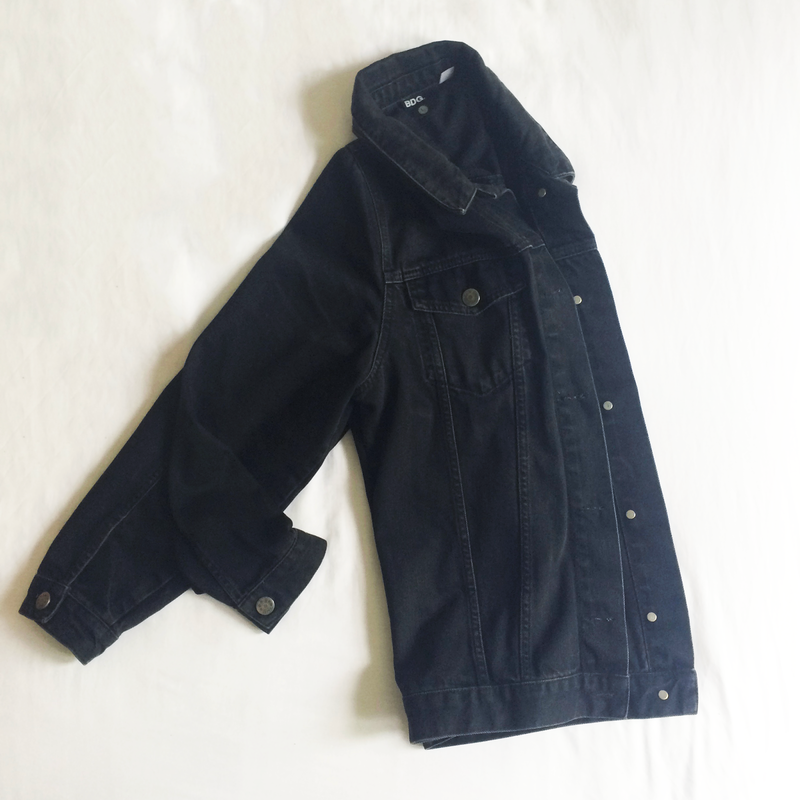 I love how close-fitting this cropped jacket is, it has a very neat look which is perfect for smart casual outfits. I love the fact it has silver zips (not a fan of gold atm) and it is fleecy inside (god I sound like a granny) which means the jacket is super soft and keeps me well insulated. Hope you enjoyed this post, I found it quite interesting myself seeing which items have worked the hardest and I’m glad that they got some credit! I’d love to know what your most worn items are - please leave a comment below or if you’re a blogger why not do this post too?